Make your foodie gifts count this holiday season | Everything Delicious. This holiday season, do good while pleasing the foodies around you! This awesome gift guide by Bon Appetit is all about gifts that make a difference. 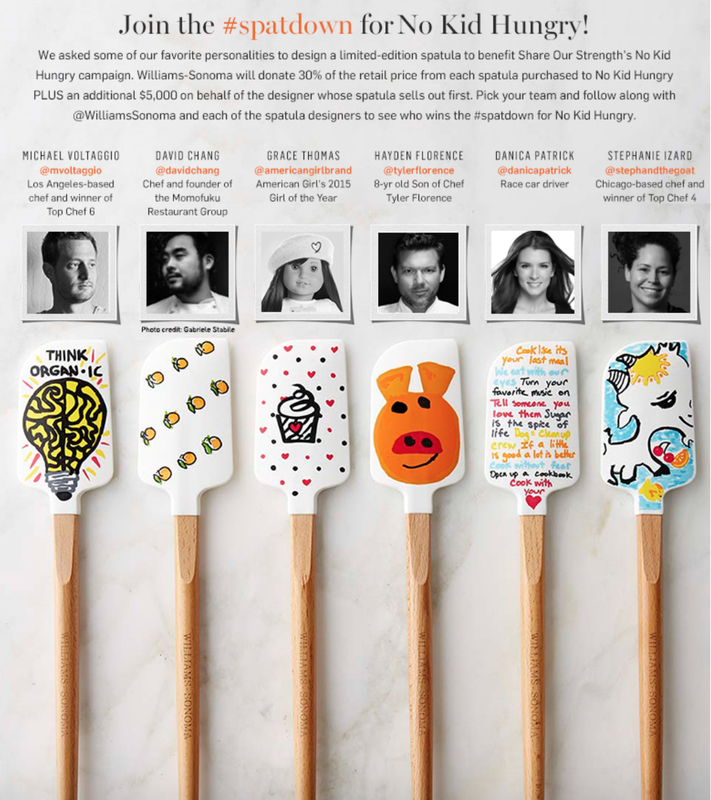 I am definitely grabbing some awesome No kid hungry Spatula by William Sonoma. How will you give back this Holiday Season? This entry was posted on November 28, 2015 by Pauline Rosen in News feed and tagged do good, foodie gifts, gift guide, gifts for foodies, holidays.